March 14th – Five years…Five short/long years. Where exactly has the time gone? Where’s the Hallmark card for such an occasion? It’s customary to give gifts for a fifth birthday. Usually, it’s a fun board game or a perhaps that new bike seen in the store. Some folks give gifts when a married couple celebrates their fifth wedding anniversary. Did you know the traditional gift for that couple is something made from “wood?” However, they don’t have gifts that commemorate the passing of a loved one no matter how many years it’s been. If you think about it, how do you say “Happy Mourning Day?” What gift sends just the right message? Is it possible to find “just the right trinket” that puts someone in the mood to celebrate such an anniversary? I know what you’re thinking… where are you going with this weird thought? What kind of strange idea is this on the anniversary of Mom’s passing? But, those who knew Mom well were aware of her habit of gift-giving…BIG on gift-giving as a matter of fact. So, it got me to thinking. Mom insisted on very special gifts. That’s right, gifts purchased by Sandra Stidham always had the tag “collectable” attached, marked or engraved somewhere. She could be watching QVC or an infomercial, at an auction or garage sale and know immediately just what to purchase and for whom. Not only were family members clueless about what they were going to receive; they were always surprised by the method of delivery. One year, my children received their Christmas gifts inside a piñata. Another year, it was a scavenger hunt. I’ve even known her to place gifts inside a tin box and bury them. Then, she would send you on a quest with a map and you had to dig up your buried treasure. Now, depending on the time of year, this could be quite entertaining given the hardness of the ground. On top of those quirky habits, you have to understand what some folks (insert Mom) consider collectable and what is truly collectable could span the Grand Canyon. If someone told my mother it was “collectable,” well, that was good enough for her. Yes, siree, you always seemed to receive something you “never knew you wanted…EVER.” It was a running joke with family members. But, on this day… this anniversary, I can picture one or two of those dust magnets holding court in a place of prominence in several homes. Collectible or not, I would give anything to receive one of those “as seen on television” tchotchkes one more time just to see her smile. 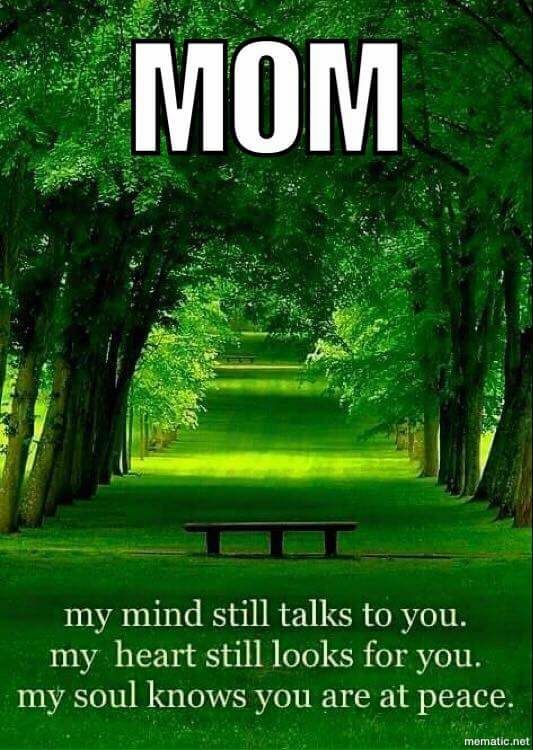 So, on this fifth anniversary of Mom’s passing, what it ultimately comes downs to is that no card, no gift, collectable or otherwise comes to mine that can help you “miss someone a little less” than the day before or the day before that or the day before that… I’m afraid missing someone is truly the gift that keeps on giving. I miss you Mom! One Response to What Gift? Well said my friend! Thoughts of you on this day.